Parenting is no doubt one of the most important “jobs” people have in their life. Every parent, everywhere in the world is in constant search for ways to make it a happy, joyful, healthy and successful experience. For over 25 years, while working with many families, my main message was that there is no “one size fits all” and that we need to learn only what is suitable for us. I learned this very important lesson when my teachers, who were truly inspiring educators, taught me things that seemed to contradict each other. Some of them were convinced their way was the right way. Others (the more inspiring for me) were at peace with what they thought and said “What makes us special is that we choose what goes together with our philosophy on life”. Later in life, I summed it up as “It does not matter what we teach our students, only what they choose to learn”. This blog comes from what I have experienced, from what I know and from what worked (or did not work) for me, with the suggestion that you take from the posts the things that fit your own situation and your own philosophy. So far, it has been fabulous. I enjoy it very much and it gives me a great sense of contribution and purpose of inspiring parents to have a happy, healthy and successful family. Have you ever wondered who inspires me? Well, I thought about this and realized there were parents’ bloggers whose writing I love to read and they inspire me to be the best I can be, because this is their motto too – to be the best parents they can be. I think these top parenting bloggers are at peace with what they believe, while they appreciate other philosophies. I think they are passionate about what they do and all of them strive to help others make the parenting journey a happy, healthy and joyous adventure, which makes them the top parenting bloggers by my definition. I did not pick them because we have the same philosophy, but because they represent aspects of parenting that are valuable for every parent. I knew that if they inspired me, they may be inspiring to you too, and because they look at parenting from different angles, bringing them together will help you choose a philosophy that suits you best. So, I asked each of them if they would share their experience and ideas with you and they said “Yes” (and I was very happy and jumped for joy). So for the next 14 weeks, the top parenting bloggers will be discussing different aspects of parenting right here on Family Matters. I am sure you will find great pearls of wisdom in these discussions and I would like to encourage you to ask us as many question as you have, share your thoughts and write your ideas through the comment box. But first, I asked the top parenting bloggers to introduce themselves to you. Remember, this is not about what we give you, but what you choose to take. I hope you will find lots to take from this series. I’m an award-winning author, educator, and online adviser for tweens/teens and parents. My books for teens include Too Stressed to Think? and the new Middle School Confidential series. 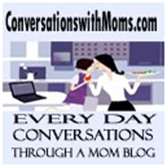 I’m also a blogger and host of my own podcast series: Family Confidential: Secrets of Successful Parenting. My husband David and I have been married for 35 years. We have two grown children who honor us with the choices they make. My life’s work is to help young people know themselves so they can make choices that reflect who they really are and do so with confidence. The name I use on my blog is Maria Melo, which is not my real name but a pseudo name that I started on my blog. I am a mother of two boys ages 5 and 1. I’ve been happily married for 10 years now to my College sweetheart. I work Full Time as the Assistant Store Manager of a large Department Store. I recently went back to work after taking a year off for Maternity leave and have been readjusting ever since. I started my blog when I left for Maternity leave. I had been reading some blogs on my time off and was intrigued by this bloggers world. I started my blog as a hobby but my blog has become so much more. I had no idea it would quickly become one of my passions. The ability to express my thoughts and share my experiences has been very therapeutic. I had no idea how important the connections I’ve developed with other bloggers would become. It has been one of my many blessings. I’m hoping that I can continue to connect with other bloggers either through sharing of similar or entirely different experiences. Annie is the mother of two children, Julian (age 5) and Emma (age 3). She and her partner are raising their two children in a rural setting near Ottawa, Canada. They believe in attachment parenting and are teaching their children multiple languages. They are not raising their children in a religion, but are trying to raise socially responsible citizens that value diversity and the environment. Annie is a management consultant and started her own business when her first child was born in order to be able to dictate her own schedule and make time for family. I am divorced and have two children, an 8-year-old girl and a 6-year old boy. I am “Practical Mommy” on MyMommyManual.com, which I co-create with my business partner and best friend, Suzanne Tucker (a.k.a. Zen Mommy). My professional career has always been in marketing, whether for large business consumer companies like The Kellogg Company or business-to-business enterprises like Incyte Genomics. I traded my life in the career fast lane for diapers and breast pumps and the sweetest kisses of all time! However, I still get fired up about effective communication. The current manifestation of my life purpose is parenting my two amazing little people. Sharing resources for the parenting journey on My Mommy Manual is where both these passions come together. 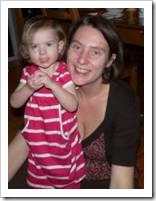 MyMommyManual.com is an online community for moms of all ages and stages – whether of babies, toddlers or teens. On the site, moms connect through practical and inspired tips and contribute their own Mommy Wisdom (on mommy wellness, baby product reviews, or tips on parenting) to this living and growing manual. We also feature advice from “expert mommies” like doulas, midwives, doctors, educators, physical therapists, child therapists, and parenting coaches. My mission for My Mommy Manual is to empower women, regardless of what stage of motherhood they are in, by connecting them with their own innate and intuitive Mommy Wisdom. Richard “RJ” Jaramillo is the Founder of SingleDad.com, a website dedicated to single parenting and specifically for the newly divorced, re-married, widowed and single father with children. RJ is 45 years old and raising his three children: Alexa (16), Mossimo (14), and Mia (10). RJ is a self employed entrepreneur living in San Diego. My name is Sue Scheff. I am an Author and Parent Advocate. Since 2001, I have successfully helped thousands of parents with struggling teens through my organization, Parents Universal Resource Experts (P.U.R.E.). I am divorced and have 2 children that are young adults now. My daughter is 25, married and a wonderful mother to my two beautiful grandchildren. My son is 21 years old and currently in his senior year of college and going on to graduate school for Sports Medicine. I created my Blog several years ago. When I started it I felt I wanted to be able to freely express parenting opinions, however is has grown into sharing so much more with parents, educators and others. I enjoy sharing articles from outside sources, always crediting them and creating a large forum of a variety of parenting resources from all different organizations and a wide range of parenting issues. Whether it is teen pregnancy or how to keep you teens safe online, I want parents to be able to visit my Blog and find just about ever topic they may need information on, not only from me, but from many others. I truly believe in parents helping parents and being able to give them all angles. My name is Susan Heim, and I’m a married mother of four sons. My oldest son is in college and studying Ocean Engineering. My second son is a high school junior and swimmer. And my twins are in kindergarten. I’m an editor and writer, and have written seven nonfiction books: 2 about twins, 2 about babies, and 3 in the Chicken Soup for the Soul series. 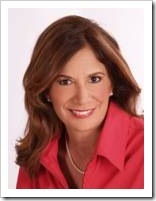 My website is www.susanheim.com. On my blog, Susan Heim on Parenting, I share my personal and professional thoughts and experiences on raising children in today’s world. With four sons and twenty years of parenting experience, I write about a variety of parenting issues, from pregnancy and babyhood to raising teens and sending them off to college. I also share family-related product reviews and giveaways. Writing my blog is a great way to meet other parents, and share valuable insights and information. 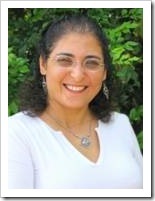 My name is Ronit Baras and I have been an educator for over 25 years. I specialized in Special Education and had the honor (and luck) to work around the world in some wonderful projects in Education, enhancing emotional intelligence and academic achievements. About 20 years ago, I opened an early childhood center and ran a special program I wrote, called “The Garden of Eden”. One major part of the success of the program was my work with the parents. Since then, I have been travelling around the world and spreading the message “Happy Parents Raise Happy kids”, which is what I hope to promote through my blogging on Family Matters, my life coaching at Be Happy in LIFE, my public speaking, my books and the columns I write for magazines. 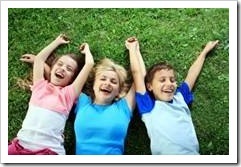 I use all these ways to help parents and kids become happier. I am married to my high school boyfriend, Gal, and we have been together 29 years. We have 3 wonderful kids, each born in a different place in the world. They speak two languages and are world travelers. Eden is 21 years old. She works full time as an event manager and is also a full time Psychology student (who made the Dean’s list). Tsoof is 14 years old. He is in grade 11 and is a musical genius. He is an amazingly focused little kid in a big body. Noff is 8 years old. She is in grade 4, adorable, curious and creative. She loves dancing, singing and playing the piano. For a long time, I avoided telling others about my successes. I had a belief it would be “showing off”. It was only when my own life coach asked me “What is the difference between showing off and being an inspiration?” that I realized the fine line between them and knew that what I had to give was valuable and important to share. This point was the beginning of sharing my personal life and combining it with my work. I thank Annie, Maria, Annie, Ria, Richard, Sue and Susan for being part of this exciting project. If you wish to know more about them or contact any of them, please visit their blogs, follow them on Twitter and/or become their fan on Facebook. Join the Top Parenting Bloggers next week for a discussion on the challenges of parenting. I am happy to hear. I thought it will be interesting for others to read different opinions. I love this idea. I am always very interested in this subject and others opinions on the matter. I think that what you said about confidence is so important. I personally believe that bullying is a result of feeling threatened and confidence is the cure. It is amazing how the concept of self confidence is neglected in out education system and berried under numeracy and literacy excuses. I am glad you are in the discussion. I believe that we as parents and educators should do our best to eliminate bullying so that our children will be safe. How great to see you here in the discussion. There is no doubt that bullying is an issue that we need as parents to discuss to make sure we raise kids in a healthy, friendly supportive environment. I would like to encourage the parents reading this blog to take part in the discussion. 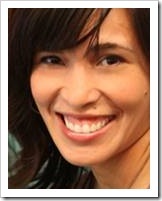 Maria, bullying and safety are topics that have come up in our Yogi Parenting discussions. One of the skills that we encourage is teaching our kids about boundaries from a very young age: what is okay and not okay, teaching them how to tune-in to their intuition about what is out-of-bounds, and empowering them to use their “big voices” when someone violates a boundary. Providing tools that foster their self-confidence and intuition are essential to them being able to respond in threatening situations. This sounds great. I look forward to reading what each of the above bloggers have to say about parenting. Fantastic Ronit – looking forward to some interesting conversations. I’m still trying to decide on a focus for my PhD research, but one possibility is talking with parents about bullying and violence, and raising boys to be gentle men. Some of my work can be found on the Association of Women Educators website http://www.awe.asn.au and on http://www.bullyingnoway.com.au including the Leading Social Change project, and White Ribbon Day Everyday.